Even when I was the pickiest of picky eaters, I loved carrots. The crunch, the sweetness, the vibrant color: all good. Tom and Luke feel the same way. 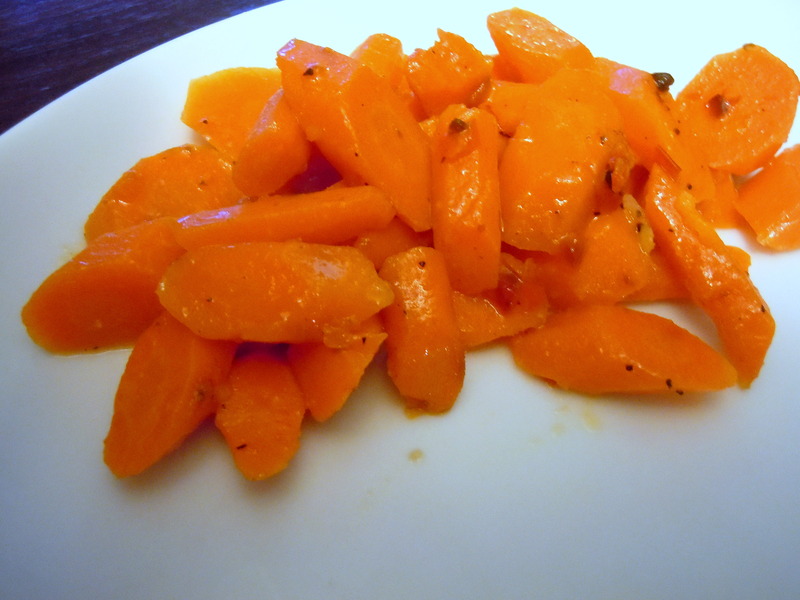 We love our carrots raw or cooked, and especially when they’re roasted with a whole chicken. But if a whole chicken isn’t available, this version is a close second. 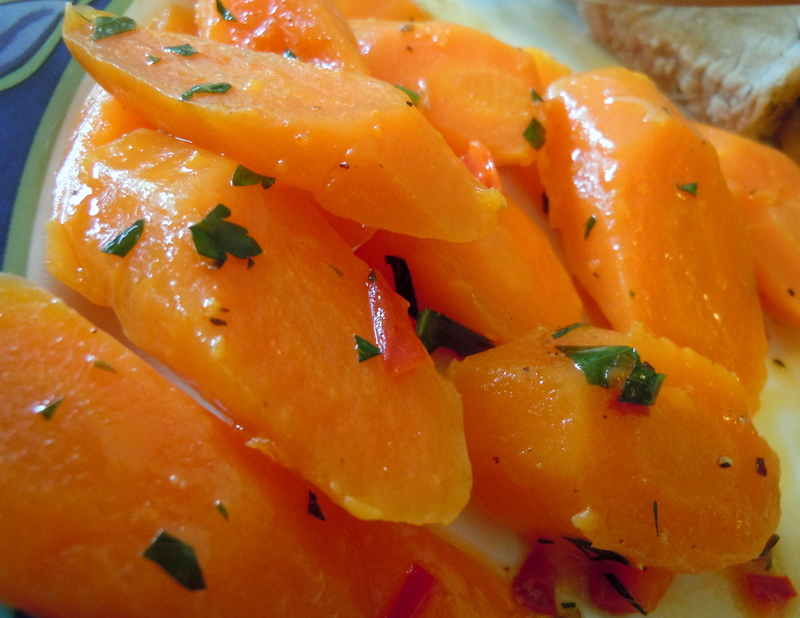 We all know the basic glazed carrots, simmered or steamed until tender, then tossed with butter and sugar — one of the few vegetables I was willing to eat in my childhood years. Oh how things have changed. This version is both lighter and more flavorful. Honey fills in for the sugar for a floral note, and minced red chile adds both heat and another layer of sweetness. There’s just enough butter to glaze the carrots. Feel free to be as decadent as you wish with the butter/honey/carrot ratio, however. Red chiles are preferable, since they’re sweeter, but if all you have is green, go with it. 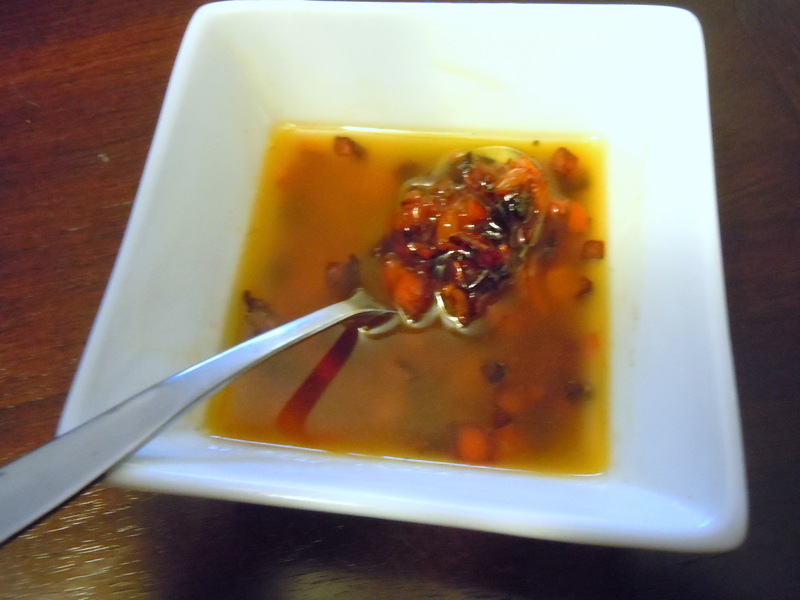 I used a Fresno chile (big surprise there), and it was milder than I would have liked. Go figure. If your family is not fond of heat, use a mild chile or leave it out altogether. I apologize for the photograph below. (In full disclosure, the photo at the top is chile-free.) Daylight and dinnertime no longer coincide at our house. I’m either going to have to cook dinner at noon every day, or get creative with lighting. Peel the carrots and slice about 1/2 inch thick. Put into a medium saucepan and add water just to cover. Stir in the 1/2 tsp. sugar and a hefty pinch of salt. Cover the pot and bring to a boil over medium-high heat. Reduce the heat to medium and cook for about 15 minutes until the carrots are tender. When the carrots are tender, drain them and return to the pot. It’s not a bad idea to leave a teaspoon or two of water in the pan. 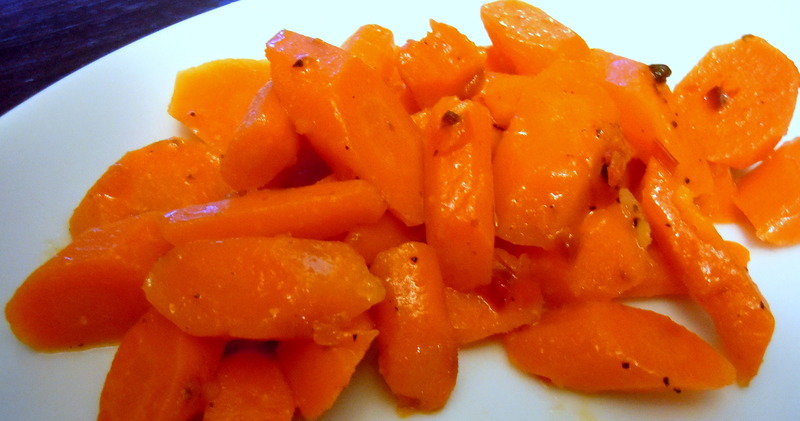 Scrape the chile-butter-honey mixture over the carrots and add a few grinds of black pepper. Stir gently and heat over low for 5 minutes, stirring occasionally, until the carrots are nicely glazed. Sprinkle on some chopped parsley, if you wish, and serve hot. This entry was posted in sides, veggies and tagged carrots, cooked carrots, spicy carrots. Bookmark the permalink. I’ve heard rumors that there’s something called a light box that can help with the whole “it’s getting dark at 4 pm” issue. I’ve just been cooking on the weekends! This look amazing~I think I may have to do this for Halloween and Thanksgivng. Love the idea of combining the chiles with carrots! Thanks, Nancy. That sweet-and-spicy combo gets me every time.